Like most siblings, my kids fight…constantly. At five years old and 18 months, they have a hard time playing together. My toddler thinks everything belongs to him and hoards anything he can get his hands on, while my older son is full of imagination and completely content to play on his own. PlaymobilⓇ has always been a go-to for my older son, and he loves the creative sets that come with a variety of realistic pieces that keep him entertained for hours. 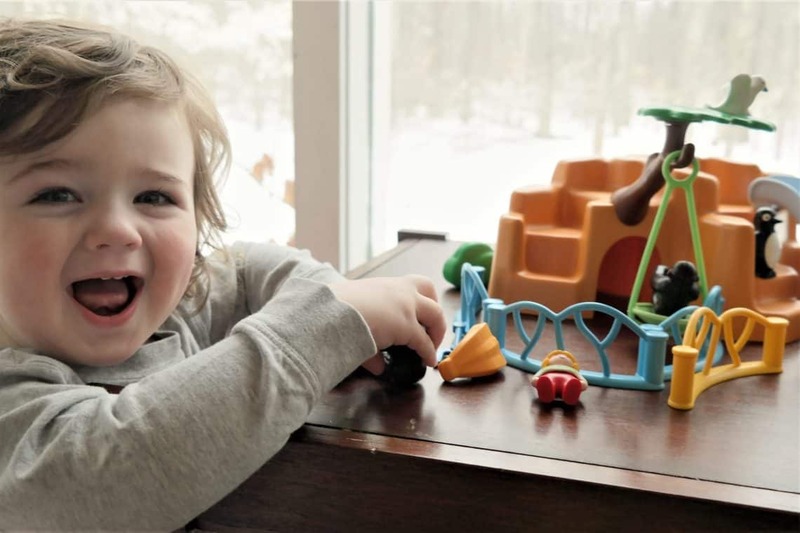 The NHLⓇ Take Along Arena, Ice Cream Truck and Twins with Barf and Belch Playset are just some of his favorites. However, the sets are usually recommended for children beyond toddler age, and my toddler is constantly trying to get at his brother’s PlaymobilⓇ toys. Understandably, this leads to fights. My five year old tells his brother, “No,” and yelling ensues. It seems as if PlaymobilⓇ has picked up on my frustrations as a mother, or maybe they could hear the shrill screaming of my arguing children. I was so happy to recently discover that PlaymobilⓇ creates sets just for toddlers! With larger pieces that are easier to hold and designed for kids 18 months to three years, my toddler can have his very own playsets. We had the chance to review the PlaymobilⓇ 1.2.3 Zoo and the 1.2.3. Castle with Stackable Towers, and my toddler has found his favorite new thing to play with. It has also significantly cut down sibling rivalry, at least for now. 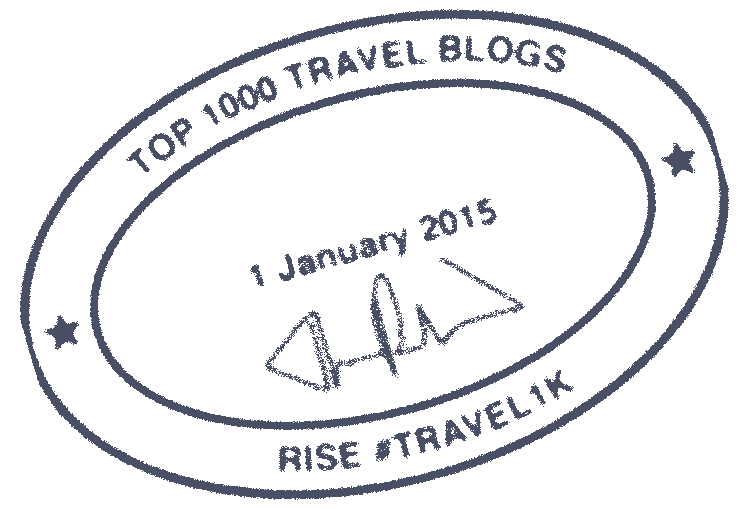 The 1.2.3. 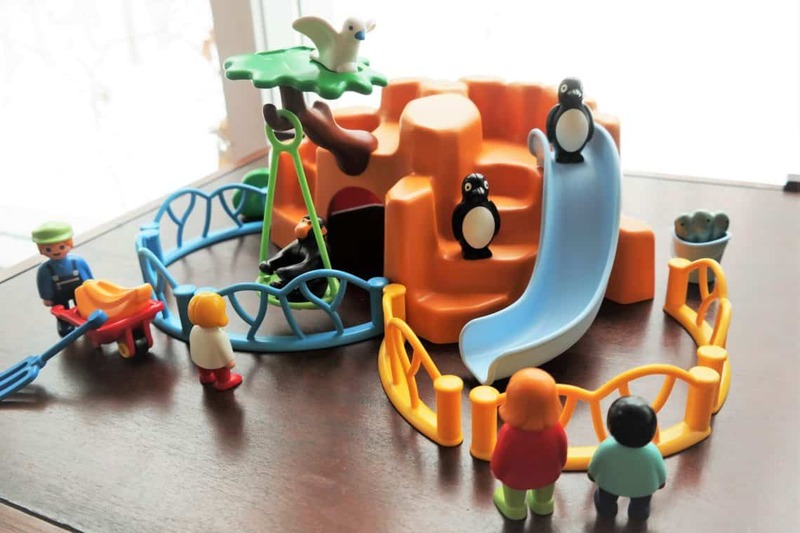 Zoo is a colorful set featuring swinging monkeys and sliding penguins. A large rock structure provides the base for the zoo time fun with fences separating the two animal enclosures. There is a tree with a functioning swing where the monkeys play as well as a slide for the penguins. It also comes with a wheelbarrow full of bananas and a bucket of fish for feeding time! Zoo visitors can watch as the animals enjoy play time. Each pieces is sturdy with a rounded, chunky design making it easy for little toddler hands, and great way to teach them about animals. A lion enclosure, sold separately, is also available to add to the zoo. The large variety of mix and match pieces allow my toddler to play all day from one station to the next. The 1.2.3. Castle is a fairytale play land with stackable towers and a King and Queen. 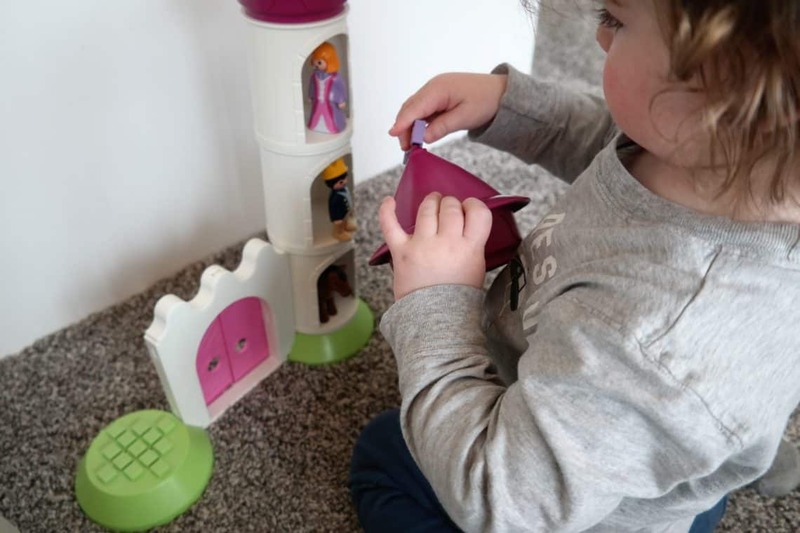 The easily connected towers can make two towers of different sizes or one tall tower, depending on what kind of creative story your little one dreams up. There is a horse for the King and Queen to ride as well as a cat and a pigeon to add to the landscape. It has kept my little one playing for hours, stacking the towers and making the horse proudly enter through the castle’s double doors. The play sets have even attracted the attention of my five year old. He is happy to share with his little brother if it means he can play with the PlaymobilⓇ sets. 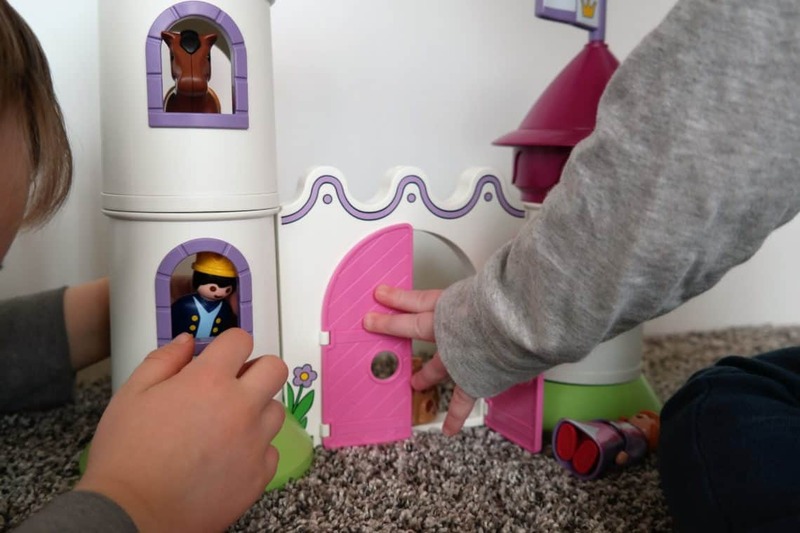 From toddler playsets to elaborate play stations based on kids’ movies and even history, PlaymobilⓇ has been a favorite go-to toy as a mother. It keeps my kids entertained and even supports hand eye-coordination as well as teachable moments with their life-like sets and historical sets. The toddler play stations have also given me back some of mine sanity as a mother since I am yelling, “Stop fighting” a lot less often. Thank you to Playmobil for providing these play sets. All opinions remain my own.